We R Memory Keepers Candy Box Punch Board. Create pretty little candy boxes with the We R Memory Keepers Candy Box Punch Board. Any paper can be used to customise candy boxes in various sizes. This fabulous set includes the board, a two way punch, score tool and instructions. We R Memory Keeper Gift Box Punch Board. 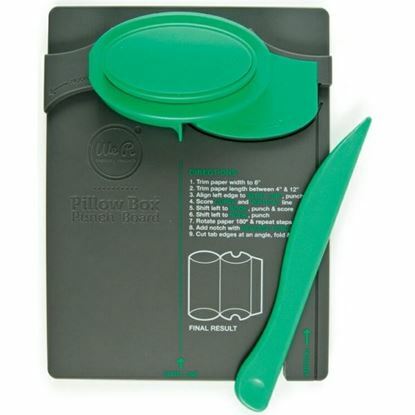 We R Memory Keepers-Pillow Box Punch Board. Use any paper to customize pillow boxes in various lengths. 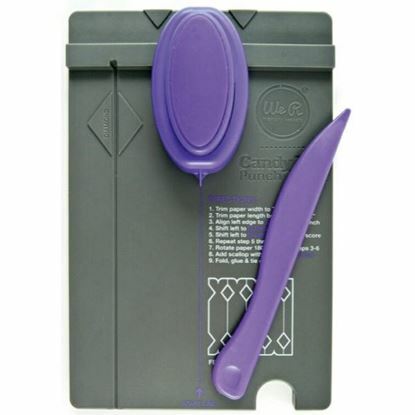 Create fold tabs and thumb notch with the two-way punch. This package contains one 7" X 5.75" score board, one two way punch, one scoring tool and user guide.